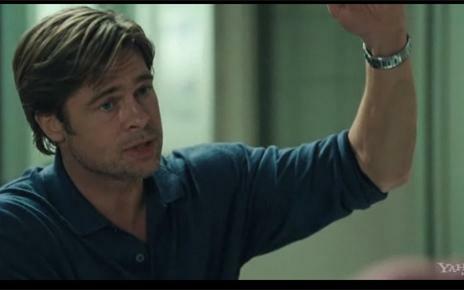 Moneyball was so good Cinema Siren feels like she’s been hit over the head with a baseball bat. Who knew this baseball geek-fest would turn out to be so exciting or have me rooting like I was in the stands myself? 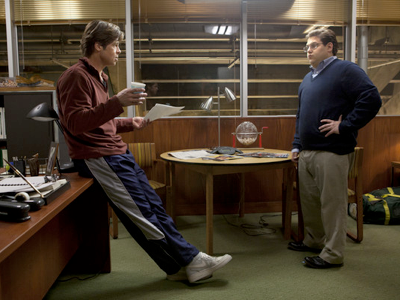 What looks appealing about Moneyball? Cinema Siren knows less than nothing about baseball. Brad Pitt looks nothing like he did in the oft-YouTubed naked Troy scene. Why will the general public care? Well, why did so many non-computer geeks flock to and appreciate The Social Network? Because it was about way more than Facebook. No matter the subject, when a movie is really good, it’s universal. 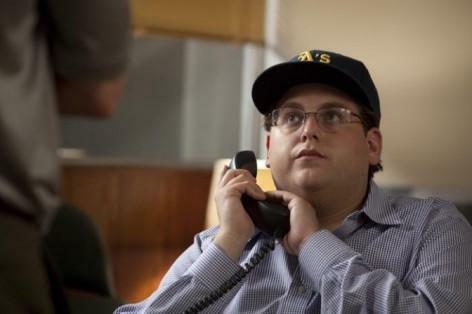 Moneyball is the ultimate underdog story, not just about the 2002 unlikely winning streak of the Oakland A’s. This is not one of those baseball films with a series of big games. Baseball fans will still enjoy the exciting scenes on the field, and find fascinating the hot-headed trading talk in the boardroom, but this movie is about much more than America’s pasttime. It is a celebration of the under-appreciated, undervalued, and the seemingly washed up, working together to show the world their worth. Central to what makes this film such a joy to watch is the recurring message that there are gifts inside everyone beyond what meets the eye. 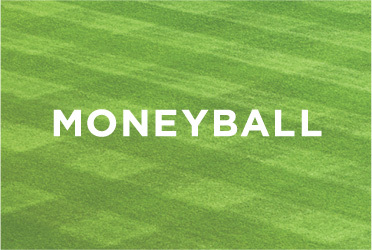 Moneyball says sometimes even in the big money game of baseball, finding and harnessing those gifts lead to far more success than lauding any one individual. The script, written by Steven Zailian (Schindler’s List) and Aaron Sorkin (Oscar winner for The Social Network) shows great wit and touches of humor mixed with moments of tenderness and intensity. There is dialogue that touches on very deep subjects, and brevity offered not in jokes as much as through our ironic understanding of what they’re up against. It offers no dull moments as it pitches the narrative ball from the dugout to the boardroom to the personal lives and histories of the characters, many of which are based on real people. 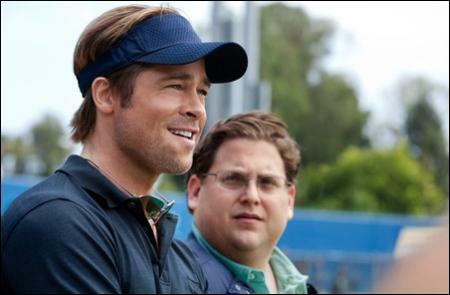 As Billy Beane, the nerve-wracked, failed major leaguer with a hunger to redeem himself, 20-million-dollar actor Brad Pitt commits 100 percent. He is at his best, and if the reported pay cut is accurate, this casting is one of the best deals made in Hollywood this year. He appears looking fully his age, and bone-tired to boot. His Beane is vibrating loneliness and yearning. With his tenacity and stubborn hopefulness, he makes himself so sympathetic you can’t help but root for him to succeed with his crazy plan. On the surface, this plan seems antithetical to any formula that might lead to baseball’s best moments… Don’t most revered and repeated stories in baseball involve superstars with stellar stats? Beane is left in a bad predicament when his best three players get poached by teams with more money. In replacing them, he knows he can’t compete with teams wealthy enough to hire the big names. He compensates for the loss of these high priced and highly visible athletes by building a composite of them with a careful selection of undervalued and less popular players. His plan is to create a winning team based on statistics, measuring players’ performances beyond looks, batting average, and popularity, focusing on solid consistent playing and getting on base. His right hand geek and numbers cruncher Peter Brand calls the idea baseball’s “island of misfit toys.” He may be the guy an older scout nicknames “Googleboy,” but he holds steadfastly to his stats, and has the ear of the man choosing the team. As Brand, funnyman-du-jour Jonah Hill shows he has strong serious acting chops, and I think we can expect to see him in both comedic and dramatic offerings going forward. The whole cast handles the script wonderfully. All the actors play their roles believably, from the leads, to the players, to their families. Philip Seymour Hoffman as manager Art Howe is like an immovable stone statue of stubbornness, and he makes Pitt’s character seem like an annoying Jack Russell terrier nipping at his heels. He should take him more seriously, as he discovers. As Beane’s 12-year-old daughter Casey, Kerris Dorsey plays it sweet and beyond her years worried for her overworked dad. Who knows what director Bennett Miller has been up to since his 2006 Oscar nom for Capote? We are all lucky he stepped in after two other directors fell by the wayside, David Frankel (Devil Wears Prada) who dropped out, and Steven Soderbergh (Pitt’s director in the Oceans trilogy) who got the plug pulled by Sony just before shooting started. Miller keeps the pacing true to Sorkin’s writing style, flipping between fast and intense and reflective and tense. We have little to go on as to how he works with actors, but if Capote and Moneyball are representative, he’ll only become more sought after. At one point, by way of explaining an emotional decision, Beane says, “It’s hard not to be romantic about baseball.” This movie isn’t helping any of its viewers stay objective. What’s not romantic about wanting a happy ending for baseball’s island of misfit toys? Whether they get one or not, walking away hopeful is one of the best reasons I can think of to go see a movie.